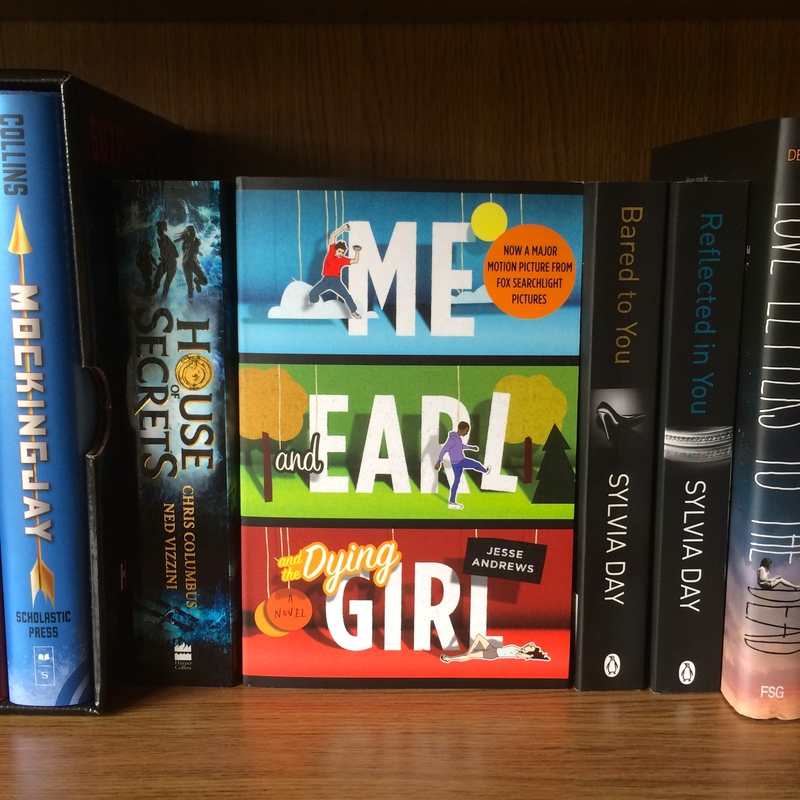 This morning I had an hour and a half to kill, whilst waiting for my car to be serviced, so I sat down and finished reading ‘Me and Earl and the Dying Girl’ by Jesse Andrews – my 39th read of the 2015 Reading Challenge. Until now I was unsure which (if any) category the novel would fit into, but upon reflection I know, for me, it perfectly captures #22 A book that scares you, which will be explained following the spoiler free review. “‘Me and Earl and the Dying Girl’, as indicated by the title, follows three main characters: (Me) Greg, Earl and (the Dying Girl) Rachel. The three have an unlikely friendship – Greg and Earl come from different walks of life, but are united in their love of film-making, and Rachel is a classmate who is diagnosed with leukemia who just happens to enjoy watching their home movies – that’s it as far as similar interests go! Spoiler free section over, lets discuss the finer detials. The simple reason why this book scares me is the subject matter: cancer. No one likes to think or talk about kids dying unnecessarily, and that’s why I think YA is such an excellent genre, as it can address often taboo subjects from a wide range of perspectives. In ‘Me and Earl and the Dying Girl’, the narrator is largely detached and unemotional about his friends imminent death (and life in general), but when the inevitable hits him he is distraught. A lot of reviews (Goodreads in particular) cite this book as hilarious, and I for one agree with them in part, as the first half of the novel was witty, but the latter half felt very real – scarily so! It’s not like ‘The Fault In Our Stars’, which attempts to find a bigger meaning, instead this novel approaches the subject from the perspective that there is no bigger meaning – death is simply oblivion. N.B. Thanks to @MeAndEarlUK on Twitter for the book, which I won in a giveaway.